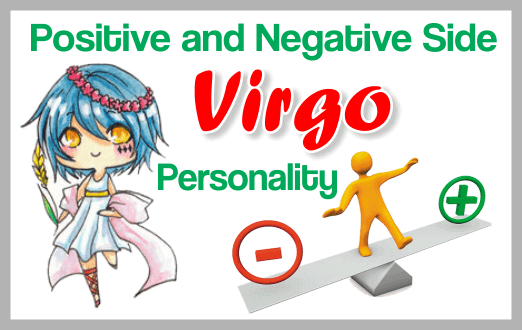 The typ­i­cal Virgo per­son­al­ity has a pos­i­tive side and a neg­a­tive one. The pos­i­tive side of a Virgo per­son­al­ity is that the per­son born under this astro­log­i­cal sign knows how to orga­nize things and is very prac­ti­cal. Virgo knows how to attain what he/she desires and will stick with some­thing until it is fin­ished. One of the main Virgo pro­file char­ac­ter­is­tics is that these per­son­al­i­ties will try to do every­thing to per­fec­tion. They always aim for the top. Another bright side of the typ­i­cal Virgo per­son­al­ity is that he/she is very sen­si­tive to how oth­ers feel. Addi­tion­ally, Virgo man and woman can see things below the sur­face and they are very honest. Virgo per­son­al­ity is open, plain-spoken, down-to-earth, and hav­ing no trou­ble in express­ing them­selves. These traits of a Virgo male and female will make them adhere to a mod­er­ate way of life, never search­ing for excess. The per­son­al­ity of Virgo is a com­plex mix of intel­li­gence, com­mon sense, atten­tion to detail, and com­mit­ment. This is a down-to-earth sign with a strong sense of respon­si­bil­ity, espe­cially with regard to fam­ily and close friends. The real stand-out fea­ture of the Virgo per­son­al­ity is their com­mit­ment to excel­lence in every­thing they do. This is a per­son who once com­mit­ted to a given task, will com­plete it to the very best of his/her ability. The neg­a­tive side of the typ­i­cal Virgo per­son­al­ity shows up when Virgo becomes too crit­i­cal. The native born under this Sign can be rather annoy­ing in the way he/she quib­bles over insignif­i­cant details. They some­times think they are the only ones doing things the way they should be done. Some other neg­a­tive pro­file traits of this zodiac sign arise when Virgo becomes emo­tion­less and cool. They can feel that emo­tional involve­ment is beneath them. When talk­ing about money, Virgo per­son­al­ity can be very miserly. Some women and men born under this sign try to force their opin­ions and ideas on oth­ers. At times, If life becomes too com­pli­cated or their frag­ile ego is dam­aged, Virgo may become depressed to the point of immo­bi­liza­tion at home.